The bushtits are adorable little birds that are always in small flocks. 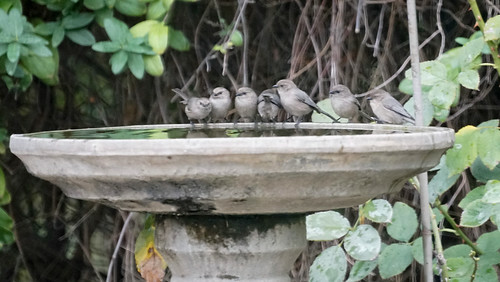 We see them flying from shrub to shrub on a daily basis, but have never seen one at the birdbath. Today, they came by for a group bath.